This issue opens up new perspectives on the effects of transnationalisation processes on gender systems. The contributions reflect the influences of transnational mobility on working and living environments, the women's movement and identity formation. 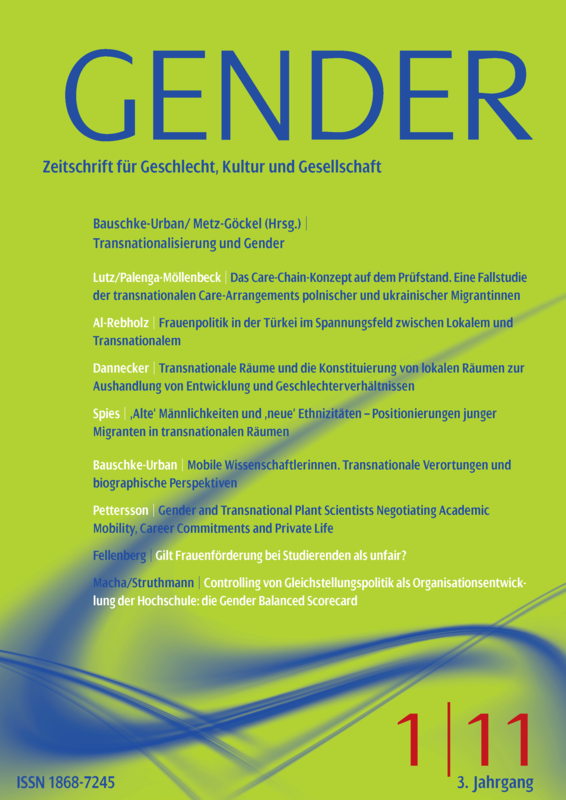 They thus initiate a broad discussion in the German-speaking world on the intersectional relationship between migration, masculinities, femininities and ethnicity.